This week, millions of students and teachers are taking part in Read Across America, a national literacy program celebrated annually around the birthday of Theodor Geisel, better known as Dr. Seuss. For over 20 years, teachers and students have donned costumes — often the Cat in the Hat's iconic red and white striped hat — and devoured books like Green Eggs and Ham. But some of Seuss' classics have been criticized for the way they portray people of color. In And To Think That I Saw It On Mulberry Street, for example, a character described as Chinese has two lines for eyes, carries chopsticks and a bowl of rice, and wears traditional Japanese-style shoes. In If I Ran the Zoo, two men said to be from Africa are shown shirtless, shoeless and wearing grass skirts as they carry an exotic animal. Outside of his books, the author's personal legacy has come into question, too — Seuss wrote an entire minstrel show in college and performed as the main character in full blackface. In light of this, the National Education Association rebranded Read Across America in 2017, backing away from Seuss' books and Seuss-themed activities. It introduced a new theme of "celebrating a nation of diverse readers." Its website now highlights works by and about people of color. But in many schools and libraries, the week is still synonymous with all things Seuss. Classrooms are decorated in colorful red and blue fish and children dress up as their favorite iconic characters, like Thing 1 and Thing 2, dreaming of the places they'll go. That tension between Seuss and Seuss-free classrooms is emblematic of a bigger debate playing out across the country — should we continue to teach classic books that may be problematic, or eschew them in favor of works that more positively represent of people of color? Part of the reason this debate is so complicated is the staying power of classic books. Think back to the works lining your school bookshelves. In Adventures of Huckleberry Finn, the N-word appears more than 200 times. But for generations, people have argued that the book is vital to understanding race relations in America in the late 1800s. And the trope of Jews as greedy and money-hungry is pretty clear in The Merchant of Venice. Yet Shakespeare is hailed for his keen understanding of human nature that continues to be relevant today. Jaya Saxena, a writer whose work examines inclusivity in young adult literature, is in favor of revamping the canon. But she understands why teachers might continue to teach it. She says when she was in high school, her teachers used the classics to teach literary devices and styles of writing, not necessarily to prioritize certain narratives or worldviews. The Merchant of Venice, for example, is a prime example of allegory. "The point was, here's what this book does well," Saxena says. "Maybe they weren't everybody's favorite books, but they were good examples of ... the craft of writing." And when planning lessons from year to year, it's easier for teachers to prioritize books they're already familiar with. But when these books include offensive stereotypes, teachers have to decide whether to continue teaching them and how. 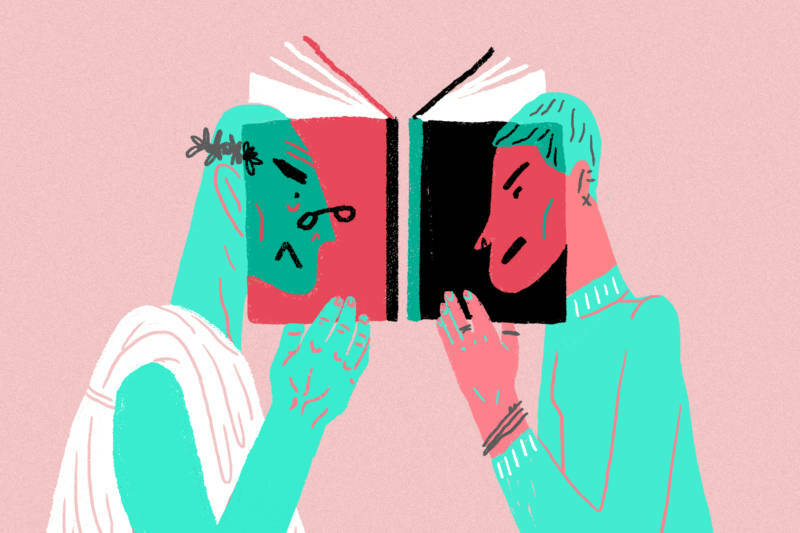 "Not engaging [with problematic texts] at all runs too great a risk of not learning or understanding where the problems lie," says Larissa Pahomov, who teaches English at a high school in Philadelphia. "I believe there is a way to look at material that is stereotypical [and] racist and identify it for what it is, and then hopefully, in doing so, neutralize its effect." When Pahomov read One Flew Over the Cuckoo's Nest with her seniors last fall, she was careful to teach students how to read the work through a critical lens that took the author's background into account. In class discussions, she made sure to emphasize that context to her students as they examined the work. "What resources did he draw from to write this book, and this character? What has been the Native American reaction to this book specifically? What was the reaction of the psychiatric treatment community? How do we look at it now? What's the treatment of women? There were so many angles to discussing it," she says. Pahomov notes that because her students are teenagers, having these conversations is possible. But books geared toward younger kids? Those discussions can get a lot more complicated. Which brings us back to Dr. Seuss. In a study published earlier this month in Research on Diversity in Youth Literature, researchers Katie Ishizuka and Ramon Stephens found that only 2 percent of the human characters in Seuss' books were people of color. And all of those characters, they say, were "depicted through racist caricatures." Those caricatures have a potent effect, even at an early age. Research shows that even at the age of 3, children begin to form racial biases, and by the age of 7, those biases become fixed. "One of the reasons for that is the images and experiences that they're exposed to regarding marginalized groups and people of color," Stephens says. "And so [Seuss' books] being mainstream, and being spread out all over the world, has large implications." If kids open books and "the images they see [of themselves] are distorted, negative [or] laughable, they learn a powerful lesson about how they are devalued in the society in which they are a part," Rudine Sims Bishop, a scholar of children's literature, wrote in a 1990 article. But when they see themselves represented in a positive way, it can have a similarly powerful effect. That's one of the reasons first-grade teacher Emily Petersen says she won't be reading Dr. Seuss with her students this week, or ever. "If I'm looking at a 6-year-old and choosing what story [I'm] going to teach them how to read through, I'm definitely going to choose the one that affirms and celebrates identities in a new way," she says. For other teachers who want to help students affirm their identities, the NEA is offering grants and resources to help schools highlight literary works by and about people of color. But the forces that have kept Dr. Seuss on the bookshelf for decades are strong. Often, schools plan their Read Across America events months in advance. Costumes, books and activities from previous years are ready to go. It can be difficult for teachers to deviate from these plans, especially when they have celebrated in the same way year after year after year. And with over 650 million of his books in circulation worldwide, just like his infamous cat, it looks like Dr. Seuss will keep coming back.